A local Forney drifts though town. Peter's overall view has Art showing me something on his phone. 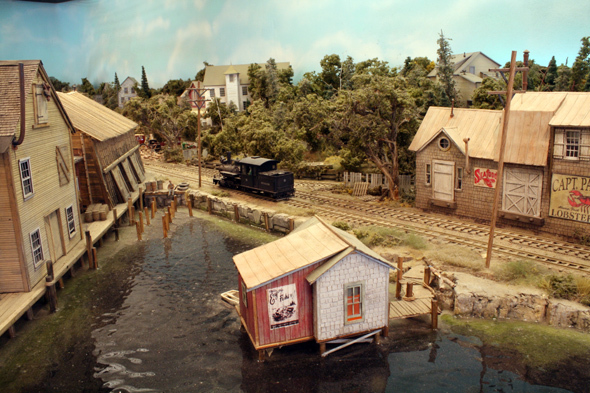 Note how the water is throughout the layouts foreground. 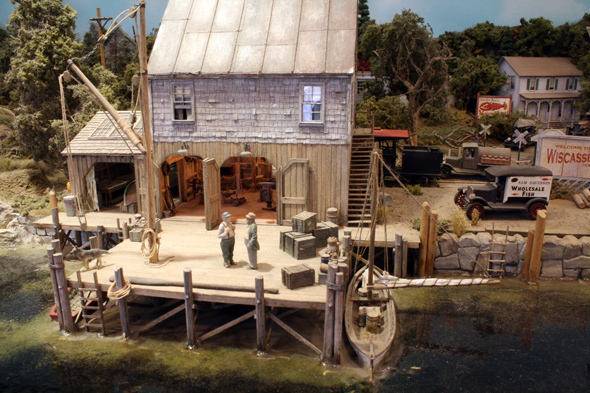 The wharf scene features many boats. 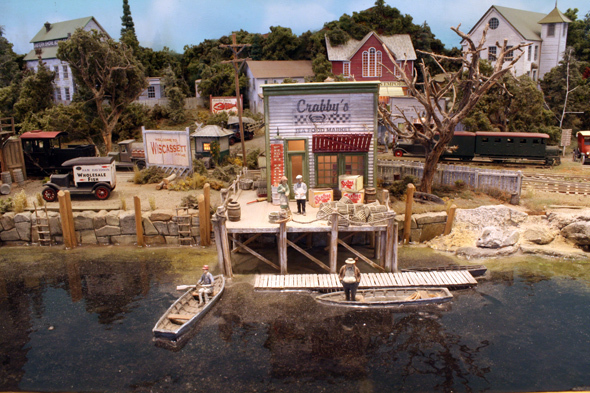 Two more of the boats are well modeled and appear to be floating in the water. Art has added many details to each scene. And at the end of the layout is the location for a rail car ferry to arrive. The ferry is not modeled but presumed on its way. Exceptional work and exciting to look at.